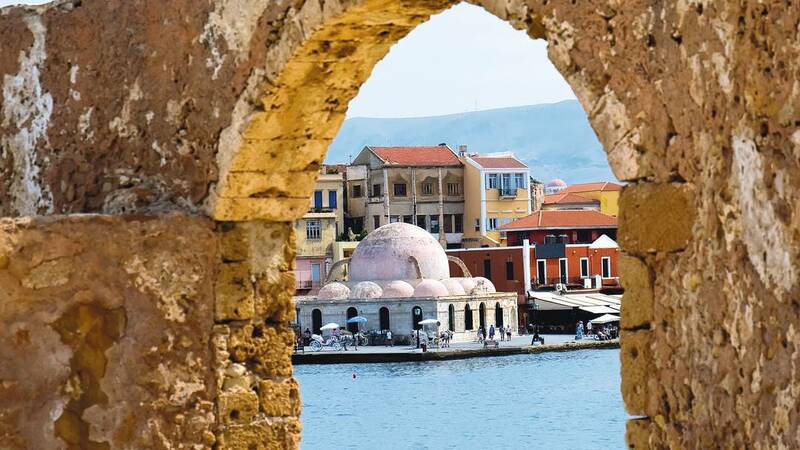 Chania is Crete’s second largest city and it is located along its northeastern coast, next to the Gulf of the same name. It is Crete’s most evocative city, with its pretty Venetian quarter, criss-crossed by narrow lanes, culminating at a magnificent harbour. The city is a unique and attractive picture of villages, churches, museums, holy caves, majestic gorges, blessed rivers and lush and archaeological sites. Crete and gastronomy are inseparable. Capturing the culture and spirit of an island blessed with fertile lands and abundant sunshine, Cretan gastronomy constitutes one of the most characteristic and healthy examples of the Mediterranean diet. Crystal clear waters, hot sun, endless beaches, secluded coves and idyllic sunsets make the best Chania Beaches , the most attractive spots during the summer! The most famous and most photographed beaches on the island, are the heavenly lagoons of Balos at Gramvousa peninsula and Elafonissi, which lie in the southwestern edge of the island. You will be impressed by the turquoise waters, the unique and the exotic scenery! For those looking for seclusion, there is the hidden paradise of Kedrodasos, a real Cretan oasis and White Lake near Elafonissi and the African seascapes of Agiannis and Lavrakas on Gavdos island. A hidden paradise, about 70 km. from the city of Chania, is waiting for you in Loutro, the picturesque fishing village near Sfakia. Its pebble beach steals the impressions with its turquoise waters and the setting around is idyllic! Awarded several times as the best beach of Greece, Falassarna is maybe the most beautiful beach of the island. Beaches such as Chrisi Akti, Agia Roumeli, Sougia, Marathi, Loutraki, Kalathas and Seitan Limania beach, whether in the south, with the warm, turquoise waters of the Libyan, or the north, where the green and the rocks offer their shade and coolness, Cretan beaches are among the best beaches in the World! Get onboard and experience the delights of Crete by sea!